Some 80% of people who visit National Trust properties do so "to look at the garden". And the glories of NT gardens include their incredible beds and borders—plants that bring color, drama and surprises year round. In this book, a senior NT gardener gives you a foolproof plan to get similar effects in your own garden with 100 key plants. How to plan, how to plant, how to prune. All of the plants will be easily available, and he will give alternatives if you want to mix things up. The book is organized seasonally, with features on important skills and tasks for each season—such as testing your soil, planting bulbs, pruning for winter and so on. 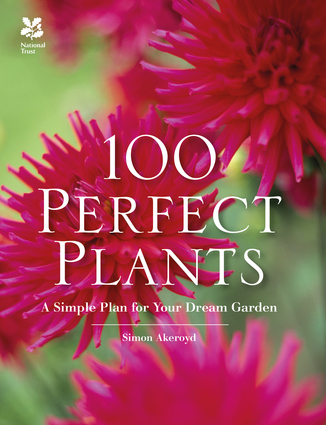 Simon Akeroyd is the author of The Complete Gardener's Guide, Kitchen Gardening for Beginners, and Get Started: Growing Vegetables. He is Garden Manager for the National Trust English Riviera portfolio.